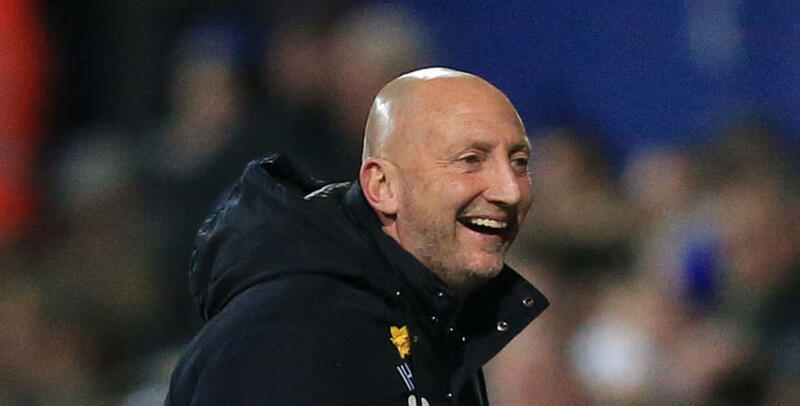 AS IAN Holloway prepares for this weekend’s trip to Leeds United, the QPR boss says he has been buoyed by not only recent results, but the way his players have achieved them. After a 2-1 win over Cardiff last weekend, Holloway made five changes, and switched from 5-3-2 to 4-2-3-1 for our mid-week game against Barnsley. It resulted in another 2-1 victory, and Holloway added: “We saw on Tuesday night that the team changes and the change in shape didn’t bother us. “The pleasing thing for me is that we won the last two games in different ways. “Are we a team that can dominate the ball? No, not yet. And when we tried to, we couldn’t win. We did really well, but we weren’t winning games, and we were sliding down the league. “I know I have got a high energy, pressing team if I need it, I’ve got more of a passing team if I need it, and I can miss out the midfield and go to the front if I need it. Under Garry Monk Leeds have become a promotion-challenging team this season. A run of only three defeats from their last 16 league games has pushed them up to fourth in the table, and Holloway is busy working on a style of play which will give the R’s the best chance of picking up some points in Yorkshire. 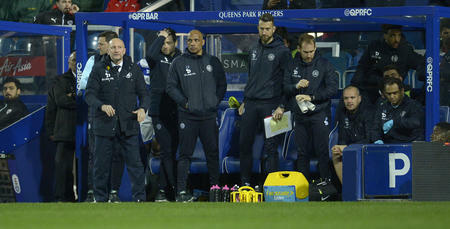 “I need to make sure our lads understand what we want to do in this game, and stick to that task,” he said. Holloway’s tactical approach to each game – adjusting personnel and style of play where required – isn’t something he has always done, but experience as a manager has changed his philosophy when it comes to match preparation. “How I approach games comes from being a manager, and from the experience of winning and losing as many games as I have,” he explained. “I wasn’t always like that. “The game has changed and you have to adapt. At Blackpool I felt I could do whatever I liked and everybody would have to bend and bow to stop us. 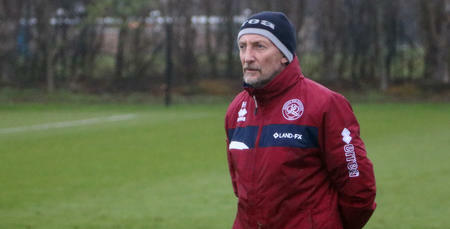 And you have to have a squad willing, and capable, of taking those tactical changes on board – which is something Holloway believes he has at QPR. “The way the lads go about their work week in, week out, the people they are, the environment they have created, it’s exactly what you want,” he said. “I can work with this squad, and I am really excited about keeping them together and keeping them working. 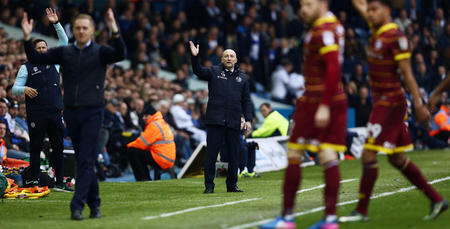 “We are playing a Leeds side that has steadily improved and improved. They are a massive club with huge support. I am delighted to be taking my team to Elland Road. Holloway is mindful of the threat Leeds pose, adding: “Chris Wood is the best striker in the division, and we have to try to take care of him. “Pablo Hernandez behind him in a 4-2-3-1 is really dangerous, and I think they are going to have probably one of the best young midfielders in the division playing in Ronaldo Vieira. He has been sensational. “It’s a great test for us. Can we go there and get something? “We have had an upturn in results but you have to be right at it every week, otherwise you can lose. Let’s see if we can become a consistent group as we work to build something. We have got a base on which we can build and move forward, and that’s the most important thing. 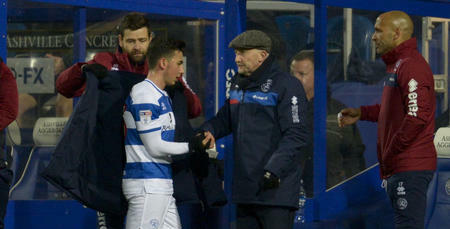 Jamie Mackie and Joel Lynch are set to return to the squad after being rested for Tuesday night’s game against Barnsley. We are playing a Leeds side that has steadily improved and improved.